SKU: AC4113. 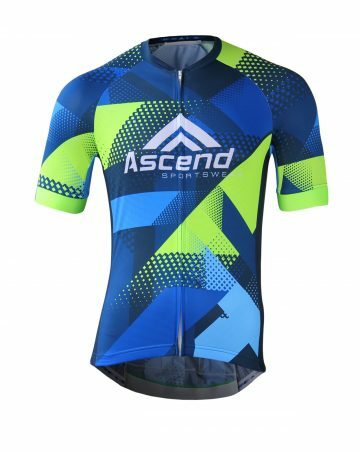 Categories: Custom Sportswear, Cycling, Jerseys, APEX. Italian MITI Seta HPC™ (High Performance Comfort) is a state-of-the-art ultra-lightweight fabric that takes performance and comfort to another level. 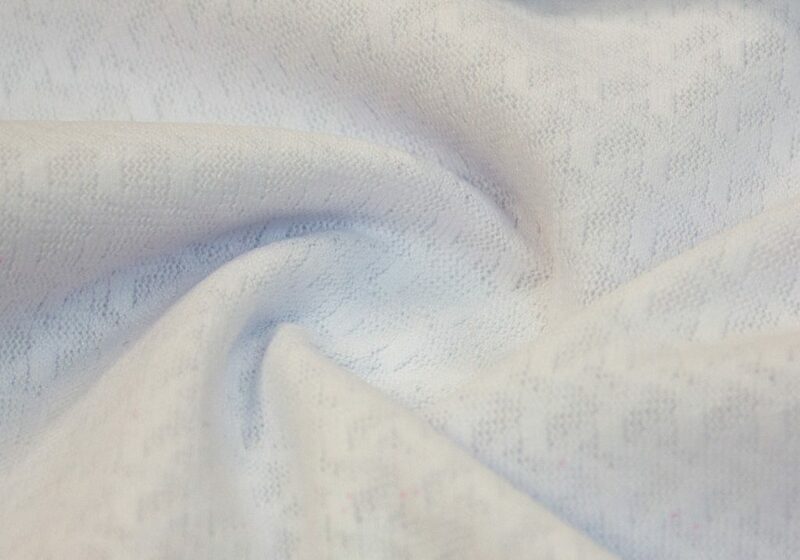 It’s radical knit design includes displaced micro pores alternating with broad areas of structured fibers. 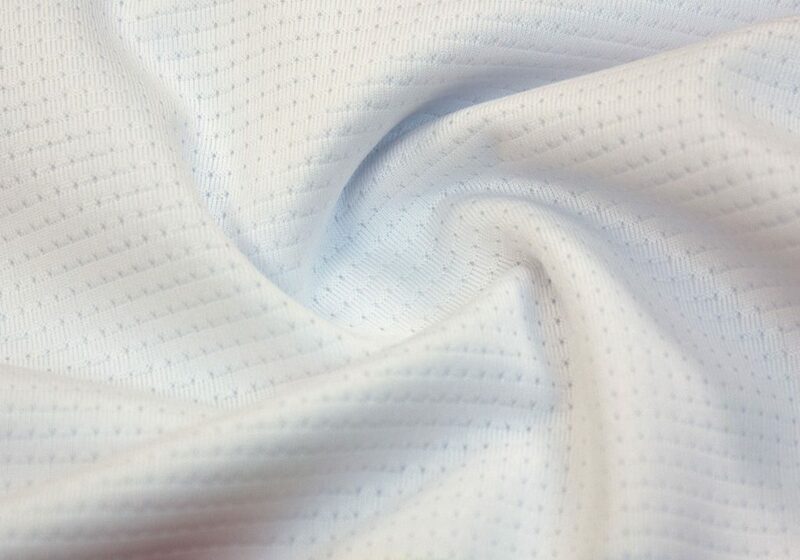 This gives Seta HPC™ unique cross-functional abilities as if it were two fabrics in one: with both superior moisture wicking and excellent mesh ventilation at the same time! On top of that, it has an exceptionally soft touch coupled with an extreme light weight yet sturdy structure! This combo ensures you get breakthrough comfort, fit, and great coverage for graphics and privacy. Its specific blend of 86% Polyester and 14% Elastane gives Seta HPC™ fabric 4-way stretch capability for full range of motion and a subtle touch of compression for the best fit and feel. 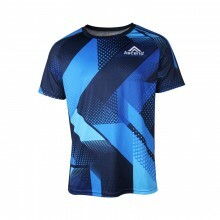 MITI Seta HPC™ fabric gives you excellent performance in the most demanding of environments. 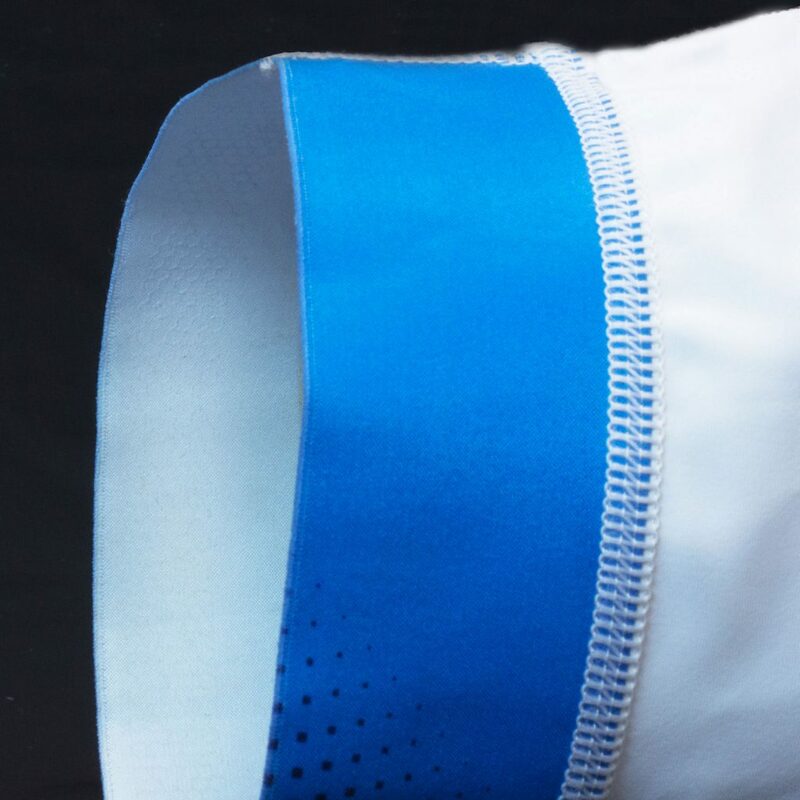 Italian MITI Aria™ utilizes the latest technology and research to deliver pro-level results in every key area of mesh ventilation fabric: air flow, weight, and coverage. 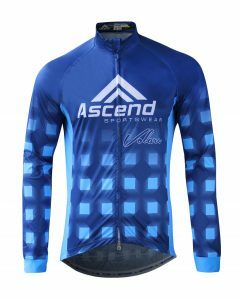 Its high density porous knit provides the utmost ventilation and maximum volume of airflow for the ultimate in evaporative cooling. Furthermore, the cleverly-engineered shape of the knit creates micro pockets of high and low pressure air that act as a ventilation accelerator delivering the amazing breathability and comfort. All this in a package that is ultra-lightweight and provides the best coverage in its class, so your privacy is never in doubt. Quickly becoming a pro favorite, you won’t be disappointed with Aria’s™ levels of comfort and performance! Syntex™ Comfort Grippers deliver cutting-edge performance in the areas of compression, print, and comfort. 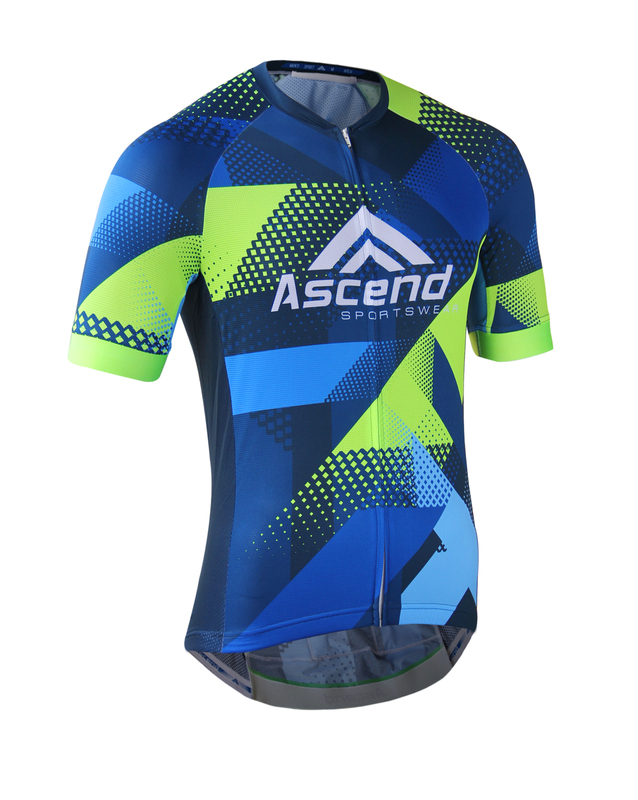 They provide an engineered balance of grip and compression to hold your garments in the optimum position, without hindering performance by reducing blood flow or distracting focus by aggravating comfort levels. Every aspect of Syntex™ Comfort grippers are engineered for a purpose. Their composite construction combines multiple materials to achieve these results. 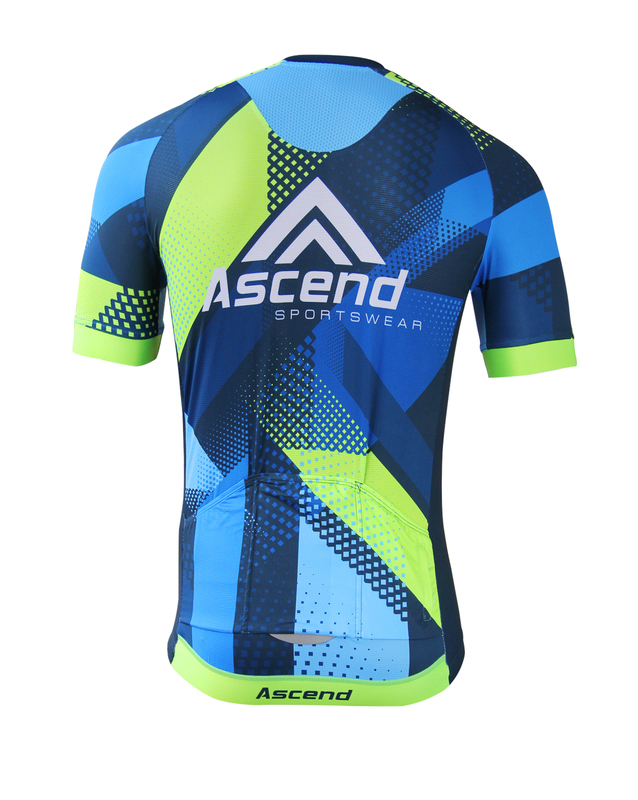 The skin contact layer is a mix of strategically printed silicone and super soft nylon. The Hexagonal silicone printing uses the universe’s most efficient pattern, so you get the most grip in the lightest weight and most minimal package possible. A middle band of sturdy yet balanced elastane for durability and compression. The outermost layer of Syntex™ Comfort Grippers are made from high density polyester for superior printing and graphics display for the best look available! $89 View Details	Design Yours Now! $48 View Details	Design Yours Now!